When you register with New Directions Social Care, you can be assured of a first class service. Whether you are looking for short or long-term, supply or permanent work, our team can offer advice, guidance and introductions to key clients within the social care sector. Our team are fully-trained recruitment professionals with key expertise within the sector. From adult to early years and youth working to supported living, we employ a team of individuals who hold knowledge and understanding of specific areas within social care. All of our staff are encouraged to undertake the same mandatory training as you, our candidates. By fully embedding ourselves within the social care community we aim to understand what our candidates need to progress. We want to make your search for employment as straightforward as possible. Are you interested in a career in the social care sector? Perhaps you would like a new position to enhance your current expertise. As one of the premier recruiters and training providers in the UK, we want to help. Are you about to attend interview for a new role? 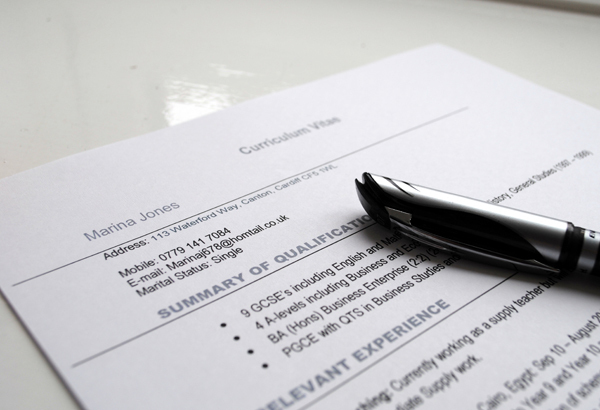 Have a run through our SC Interview Tipsto ensure you are fully prepared. Remember, an interview is an opportunity for you to showcase yourself. This time in front of a prospective employer is your chance to sell your skills. Good luck! 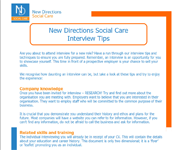 Remember your New Directions Consultant can offer you further advice and encouragement in preparation for your interview. Give them a call and discuss your tactics. If you have opted to register with New Directions Social Care, you will need a minimum of six months’ work experience. However, don’t worry if you have not yet started your career in social care. We can help you to identify work experience opportunities to get you on the road to paid employment and a fruitful career in the sector. Contact one of our consultants to discuss your options further. Why New Directions Social Care? All candidates that register with New Directions will have a dedicated Sales Consultant. This means that you will have one of our trained recruitment experts working on your behalf to identify assignments that will be of interest and matched to you and your skills. Our business benefits from it’s own in-house training team – New Directions Training. We deliver specialist training to professionals from the social care sector throughout the year. We believe that by empowering our candidates by offering up-to-date training courses and refreshers, you will always benefit from continuous on-going employment and assignments. Read what the people who work with us say on our candidate testimonials page.